WONDERFUL WEST CHESTER – HOUSE & COTTAGE This lovingly restored antique gem is way beyond charming and ready for occupancy! 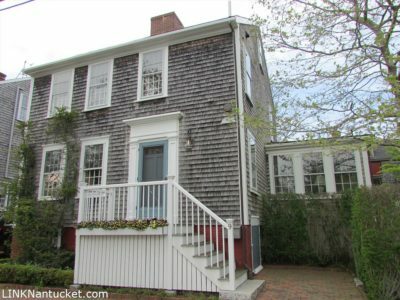 Enjoy ample living space in this delightful 4 bedroom, 3 full-, plus 2 half-bath, historic Nantucket home. The fun art studio-dining room with great barn door, opens to a hidden patio behind. Brick walkways, stone walls and gorgeous gardens connect to another patio, perfect spaces for entertaining outdoors. The adjacent 2 bedroom 1 bath cottage is ideal for extended family or rental. Modern kitchen, 6 fireplaces, new roof and 2 car parking should bring this home to the top of your must see list! Easy to show. Lower Level Furnace room, laundry room and storage.